Just for a few hours, be immersed in the modern India or check out the lastest Bollywood movies here at Bombay Talkies. The name Bombay Talkies refers to India's first public limited film company that was founded in 1934 in Malad, in the suburb of Mumbai. 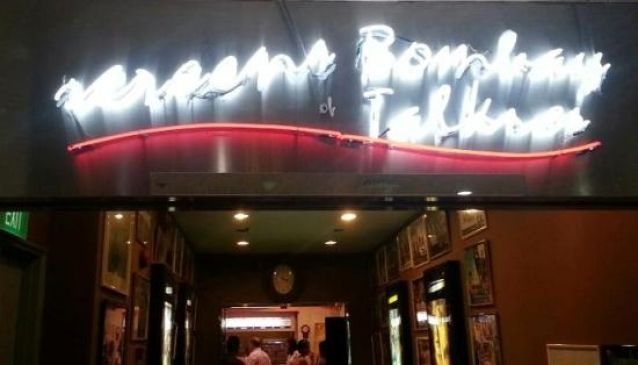 Located in the Civic District on Beach Road at a walking distance from the Raffles Hotel, Bombay Talkies is housed in the humble Shaw Towers with only two screens. Yet this is one of the few movie theatres in Singapore dedicated not only to Bollywood but also to all types of Indian films mostly in Hindi with English subtitles. Films are usually up to 3 hours long with a 15-minute intermission. Please take note that Sundays are particularly crowded as it is the only day off for many Indian workers from the contruction industry. Book your ticket online at http://www.in-movienetwork.com with tickets usually between S$8 and S$10.